The Tel Aviv International Synagogue is a vibrant, full service Modern Orthodox, Tzohar synagogue in the heart of central Tel Aviv. Under the dynamic leadership of Rabbi Ariel Konstantyn, TAIS offers innovative spiritual, cultural, social and educational programs in an environment of warmth, acceptance and mutual respect. 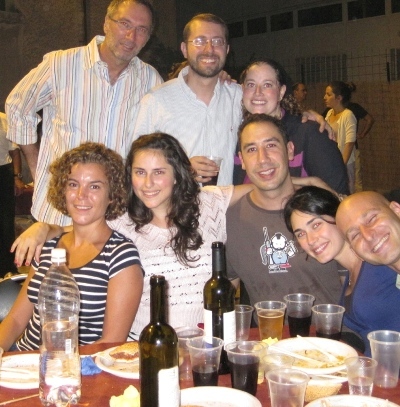 TAIS is located in the historic Beit El Synagogue on Frishman Street right off of Ben Yehuda (map) and has become the spiritual home for thousands of Jews of all backgrounds – tourists, Olim and Israelis alike from over 30 countries around the globe!